The family will receive guests from 5pm to 7pm on Tuesday, October 9, 2018 in the Griggs Schooler Gordon Funeral Home, 5400 Bell St. Funeral Services will be held on Wednesday, October 10, 2018 at 2pm in the Griggs Schooler Gordon Pioneer Chapel with Pastor Jerry Davey presiding. Interment will follow in Memory Gardens Cemetery. Butch was born on September 27, 1942 in Arnett, Oklahoma to Solomon J. and Ocie L. Moore. The family relocated to Texas soon after he was born and he would spend his younger years in the Texas Panhandle. He was a Dumas High School Graduate. While attending Dumas High, he met the love of his life, Bobbye McBrayer, whom he would marry in 1964. He would work many jobs for places such as Furr’s Supermarket, Albertson’s, and more. He was a Produce Clerk, and would retire from United Supermarkets in the same position after many years. Butch had many hobbies. He loved gardening, working on motorcycles, and enjoying the outdoors with activities such as camping and fishing. He was not above fun and was known as a prankster. 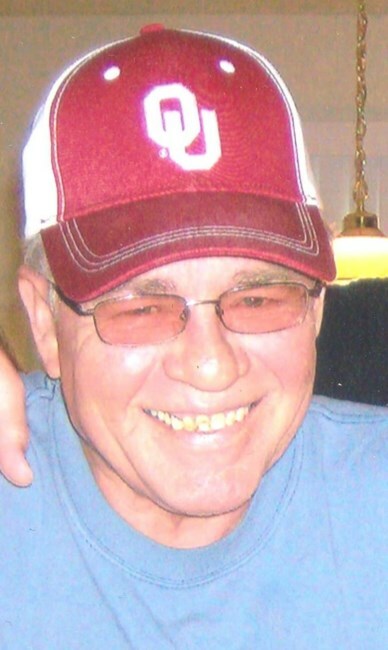 He loved his OU Sooners. The only thing that overshadowed his love for the crimson a crème was his intense dislike for The Dallas Cowboys. Butch was preceded in death by his parents, his beloved Bobbye, son Michael, and brother Ronald. Those left to cherish his memory are his son Noel Moore and wife Cherie of Amarillo, brother Floyd D. Moore and wife Toy, Sister Javeta McGill of Amarillo; granddaughter Amanda Vandergrif and husband Nathan of Aledo, and four great grandchildren Hayden, Ella, Matthew, and Chloe.